For some chess players, what better gift could they receive on Christmas (or on a birthday) than the gift of chess lessons? It’s not so fun to lose every game, and learning a lot, only from the experience of losing, can take years. How much better to speed up the learning process by taking private chess lessons! Whoever first said that chess is 98% tactics was close the truth. Strategy becomes important as you progress into an intermediate level of chess abilities, but tactics rule. What’s the difference between strategy and tactics? The first may involve long-term planning and positional maneuvering, but tactics is more like street fighting in a narrow alley. To get to the back door of your dance studio, you must first walk through the alley. Tactics come first. Here’s a tactic that is less well known than the pin and the knight fork: zwischenzug. 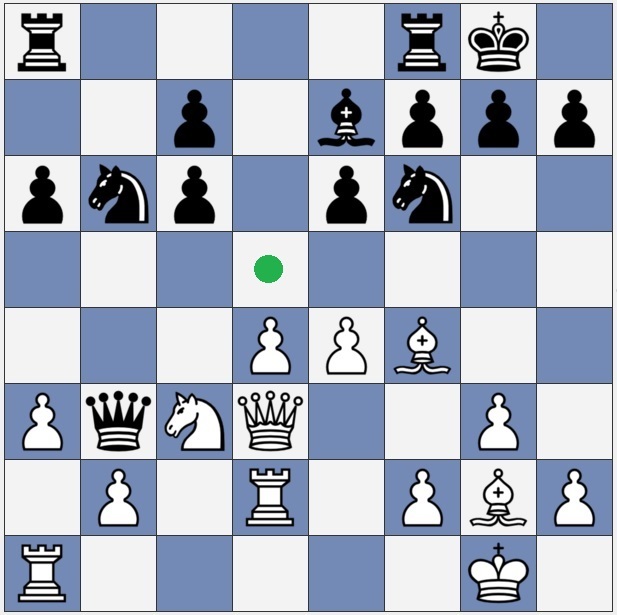 What is White’s best move in this chess position? The above chess puzzle is not meant to be a free gift: Try to solve it before looking at the solution below. In this brief online chess lesson, let’s try to look at this position like a master would. Using the above five observations, a master would calculate that Nd5 would win a piece. He (or she) would not rush into making that move, however, before searching for a surprise move that may be possible from the opponent. The master would then see no complication likely. The possibility of Black trapping the white knight would be considered, but in this position Nd5 would indeed win a piece for White. After the white knight moves to that center square, the player with the black pieces will not likely want to give away the black queen as a gift. The black queen will capture the white queen, perhaps with the expectation that the white rook will immediately recapture the black queen. This is where zwischenzug is made. This is a German word referring to an in-between move. Before recapturing the black queen, White uses the knight at d5 to capture the black bishop, giving check to the black king. That king must move out of check, giving White time to then recapture the black queen. In other words, in this chess combination, White has won a piece, ending up with a knight and two bishops. Black will then have only two minor pieces: two knights. If you live in the Salt Lake Valley of Utah, low-cost private chess lessons are available. The chess tutor Jonathan Whitcomb, of Murray, can drive to your home (or other location like a public library) and give you personalized chess instruction. 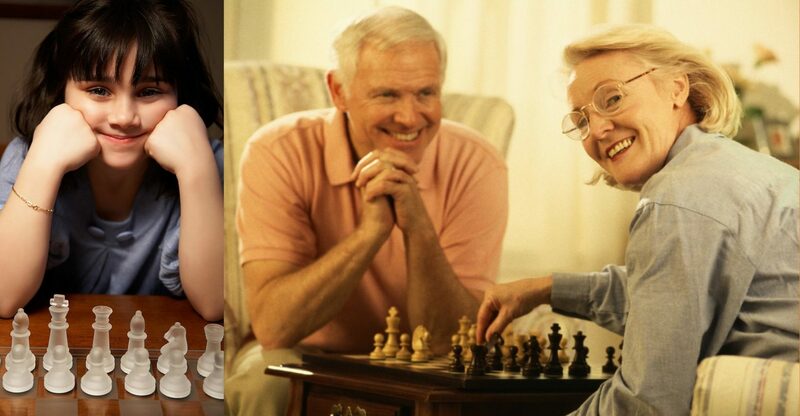 The first chess lesson is more of a getting-acquainted session and is free, with no obligation on your part. If you decide to continue with regular lessons, each one-hour session costs only $25 (in the Salt Lake Valley). Call 801-590-9692 for more information on chess lessons. Personalized chess tutoring may save a player months, if not years, in becoming proficient in the royal game. I teach private chess lessons, mostly in the Salt Lake Valley of Utah and generally for only $25 per lesson (when I drive to a student’s home in the SLV; when I need to drive to a location outside the SLV I charge a bit more . . . I can drive to your location, or to a location convenient to both of us, if you live in or near the Salt Lake Valley of Utah. Communities most convenient to my own home in Murray include . . .
South Salt Lake City . . . etc.